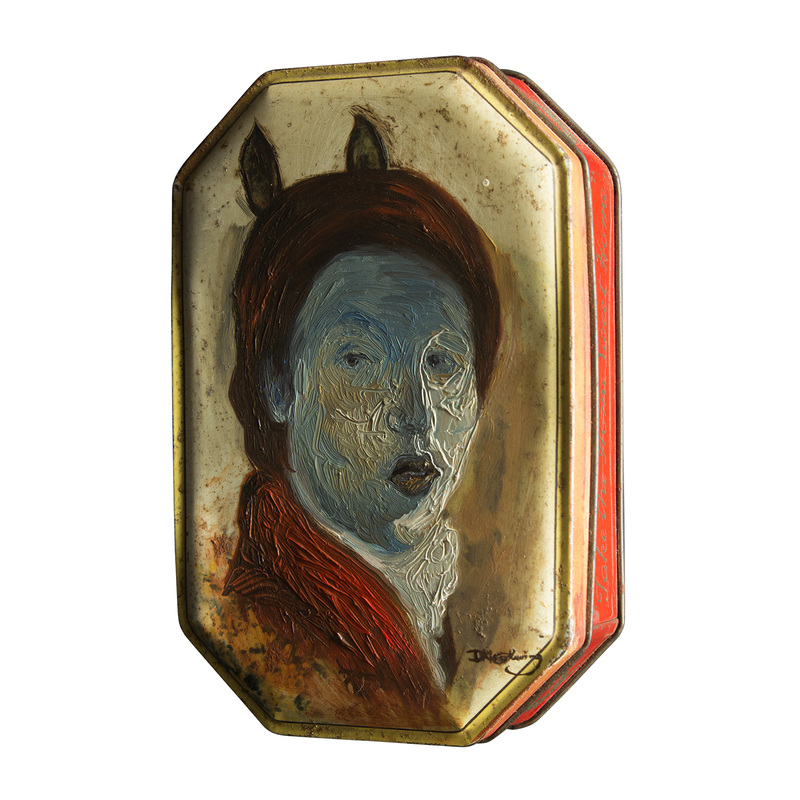 Oil portrait on tin can. Part of the solo exhibition, ORIGINAL MYTH by David Le Fleming. This picture is a good example of Le Fleming appropriating a #foundobject and some of the features therein.